There are hundreds of dance demo / instruction dance videos on Youtube by a dance instructor named Jenny or LineDanceDallas from either Taiwan on some videos or Plano Texas on other videos. From FluentU got the top 8 Christmas words you’ve got to know for this holiday! Blogger A Meme in Chinese or a Cat Birthday Card? 一 只 小 鸟 告 诉 过 我是 你 的 生 日 。yì zhī xiǎo niǎo ɡào su ɡuò wǒ shì nǐ de shēnɡ rì. A little bird told me it was your birthday. yì zhī xiǎo niǎo ɡào su ɡuò wǒ shì nǐ de shēnɡ rì. A little bird told me it was your birthday. Blogger I was really pleased to find this 成语 chéngyǔ. I was really pleased to find this 成语 chéngyǔ. 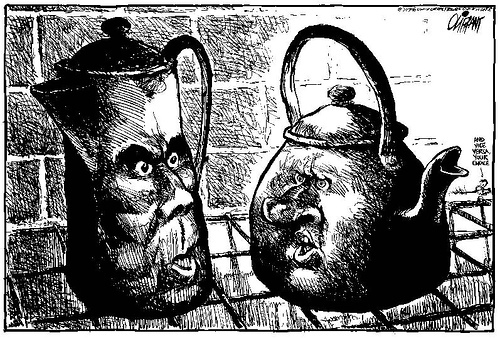 五十步笑百步 -- wǔshí bù xiào bǎibù -- The pot calling the kettle black. a literal translation "those who retreat fifty steps laugh at those who retreat one hundred steps"
Some of you may already be familiar with the Russian party game "Mafia" (also known as "Werewolves"). I've given the game a bit of a Chinese makeover (based more-so on "Werewolves" than the original, because it's more fun in my opinion!). Find out about the original game here. Hi, I'm angel from china. I'm glad to join here. I hope to make friends with you and learn English or Chinese each other. How good is your Chinese? Let a native speaker help you practice! Glad to meet you here . My name is Qihan Su ,you can call me Retta .I'm a Chinese native people living in Chengdu city of Sichuan province .